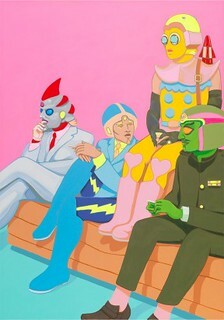 FOE’s first giclee print release perfectly captures the gallery’s aesthetic. Artist Toby Barnes combined the composition of an iconic Beatles image with Otaku culture to paint the statement-making The Sidekick Lounge at 20” x 40”. The vibrant colors and clean lines were well-suited for the flat, color-soaked giclee prints produced by the experts at Evolv Fine Art Printing. The signed, numbered edition of 30 is printed on archival paper with a white border to fit a standard 11” x 14” frame. Iconic imagery, eye-popping color and smoking sidekick Otaku capture the fun, low brow, Manga-influenced art favored by the folks at FOE. 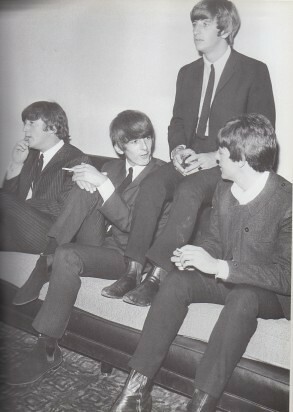 See The Beatles image next to The Sidekick Lounge and an interview with artist Toby Barnes on FOE’s blog.